Happy Easter! I hope you are having a fun-filled day. My morning started off with this Overnight Cinnamon Baked French Toast from Lovin in the Oven. Oh my goodness it was amazing. I’m also cooking Easter dinner tonight. Since it is a food-filled day (although what day isn’t?) I wanted to make an easy dessert. 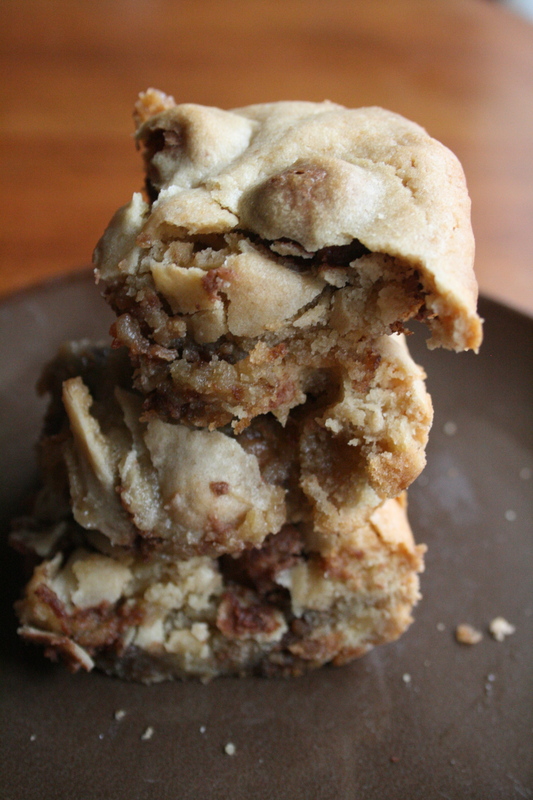 These blondies may not be very Easter-y, but they’re simple to make and they taste delicious. 2. Mix all of the ingredients except for Whoppers in a large bowl. 3. Gently fold in Whoppers. 4. Grease a 8 x 8 baking dish. Pour mixture into it evenly. 6. Let blondies completely cool before attempting to cut them, about 1 hour. 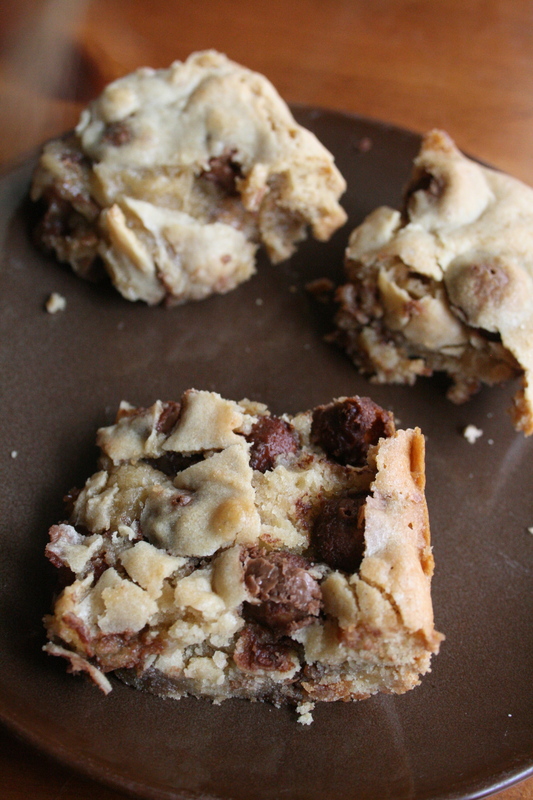 This entry was posted in Desserts and tagged blondie, chocolate, dessert, whopper. Bookmark the permalink.